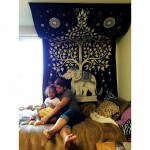 The tree of life term has been mentioned in Bible which states value of tree and its properties. 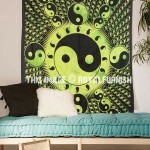 It is the symbol of God’s provision for immortality in the Garden of Eden. 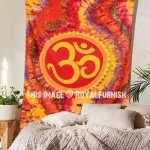 At Royal Furnish you have plenty of alternates into tree of life tapestries wall hangings those come into different colors, designs and patterns. 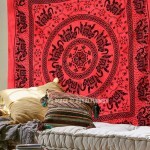 It is made in India on cotton fabric with number of dyes and colors which left elegant look to tapestry wall hanging. 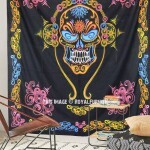 A multipurpose item can be used as wall tapestry or bedspread. 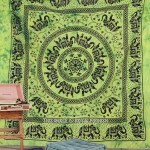 It is cool tree of life design which leaves lasting impression on guests, clients and college mats. 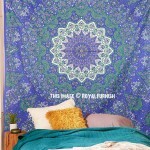 Available at Royal Furnish into very affordable budget which doesn’t bother to anyone whether it is college going student who is looking to improve dorm interior or a lady who is search tree tapestries to revive interior of bedroom. 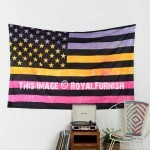 It fits into the budget of everyone. 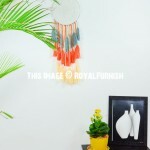 Choose best colors from green, red, blue, purple, orange and hang it on the headboard or dorm wall. 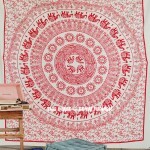 You discover number of alternates at Royal Furnish including mandala tapestries, beaded tapestries, patchwork wall hanging, elephant wall decor, embroidered wall hanging.